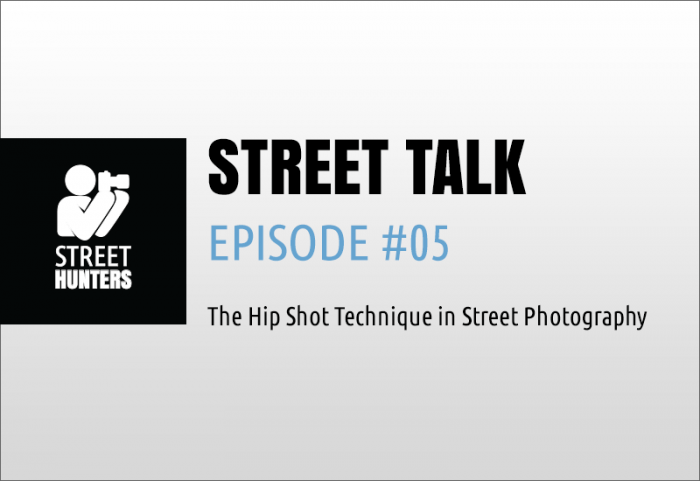 One of the most common questions I get asked by the Streethunters.net Readers and viewers on the Street Hunters YoutTube channel is what is a hip shot and how it is made. So, I thought that discussing the hip shot technique in one of the Street Talk episodes would be a good idea. So one fine morning about a week ago, I grabbed my Ricoh GR and I took a walk in the streets of Rethymno to do just this. I headed towards the marina where it is nice and quiet in the morning and I took a seat and started talking into my ActionCam explaining what the hip shot technique is and I also shared some tips on how to get better hip shots. I chose that spot to do my talking because there are very few people there in the mornings and I needed a distraction free environment if I was to convey the hip shot technique to you as clearly as possible. When I finished with the theory, I attached the ActionCam to the Ricoh GR hotshoe and took some hip shot photos in order to help you get a better idea of this style of street photography. As you will see in the video above, using the hip shot technique you can get away with photos taken very close to your subjects, especially if you have a small unobtrusive camera such as the Ricoh GR that I use in the video. However most of the time you end up with photos that are oddly framed or even completely off target. So, even though the hip shot technique can prove helpful in some situations, it isn’t the ideal way of shooting as far as I am concerned. I still prefer framing my shots with the viewfinder or the LCD screen. As a photographer that uses hip shooting as his primary way of shooting street candids, I really appreciate how you did not denigrate the technique, which seems all too common in street photography circles. Cheers! Glad you enjoyed the video and thank you for your comment Tony!